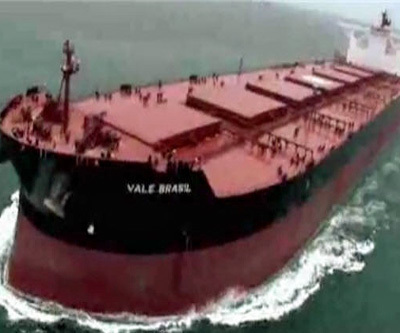 The world's second biggest miner Vale released its first quarterly report for 2013 on Wednesday. Vale said it showed increases in operating income, operating margin, earnings and cash generation. The company's underlying earnings were $3.2 billion — $1.2 billion above the last quarter. Cash generation, measured by adjusted EBITDA, was 18.1% higher, reaching 5.2 billion. It was second only to the figure for the first quarter of 2011. Operating income, at $4.2 billion, was 41.4% higher than in the fourth quarter of 2012, while operating margin increased to 38.%. Capital, research and development expenditures were $4 billion, 8.4% higher than in the first quarter of 2012.
reduction was primarily due to the effect of lower volumes. • Operating income margin of 38.0%, as measured by adjusted EBIT margin. decrease in underlying earnings, more than offsetting the higher adjusted EBIT. items – of US$ 5.2 billion, 18.2% above 4Q12. US$ 47 million to social projects. average cost, 4.6% per year as of March 31, 2013.